And Surprise! The 13 member IOC got stacked. Seven of the 13 (or 54%) of the IOC members reside in the city of Tampa but none reside in New Tampa. 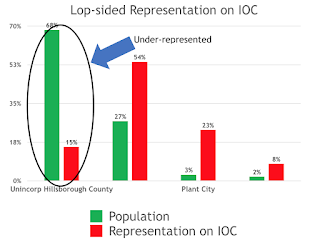 Three of the 13 (or 23%) of the IOC members reside in Plant City, the smallest municipality in Hillsborough who does not pay HART property taxes and is not a member of HART. 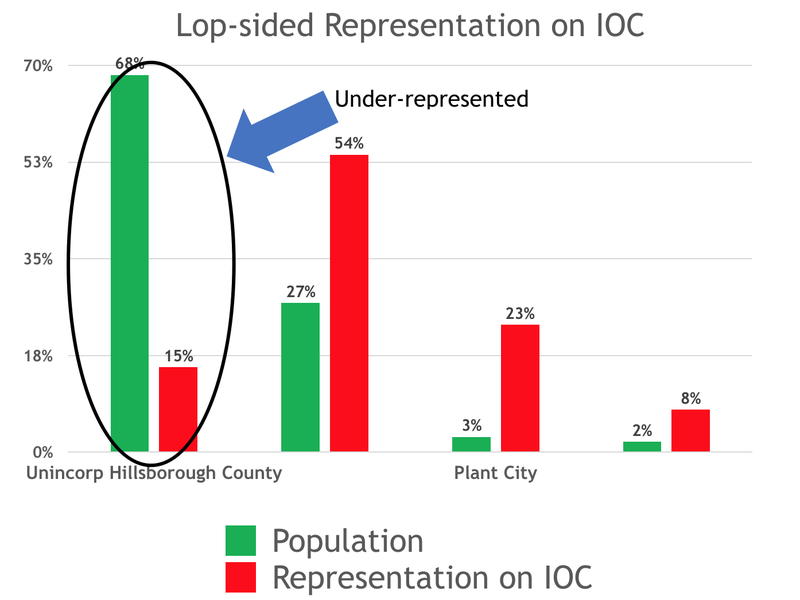 Only two of the 13 (or 15%) of the IOC members reside in unincorporated Hillsborough, one in Lithia and one in Westchase. When the city of Tampa reaches a population of 400K, which will occur after the 2020 census, the city of Tampa will automatically get another appointee. Then eight of the 14 IOC members (or 57%) will reside in the city of Tampa. HART's property taxes are overwhelmingly paid for by taxpayers in unincorporated Hillsborough while the majority of HART's transit services are in the city of Tampa. Plant City does not pay HART property taxes. 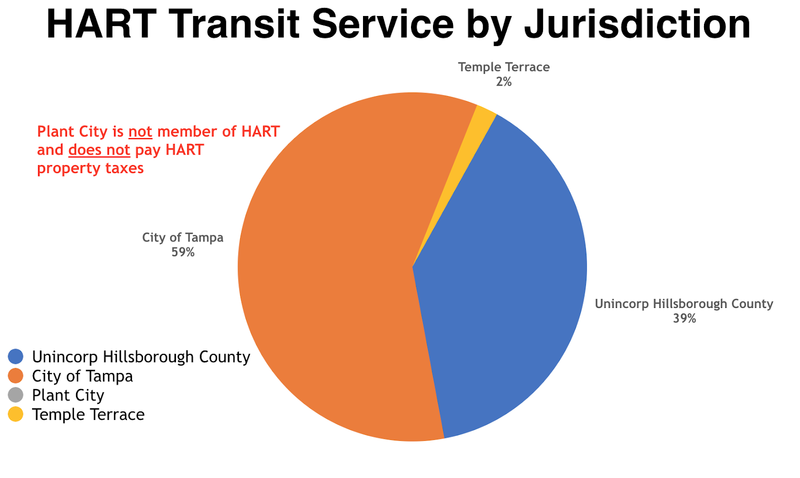 AFT mandates that 45% ($7-8 Billion ) of the $16 Billion AFT tax be spent on transit when less than 2% use transit in Hillsborough County. AFT mandates that $2-3 Billion of that 45% must be spent on costly rail/fixed guideways transit. 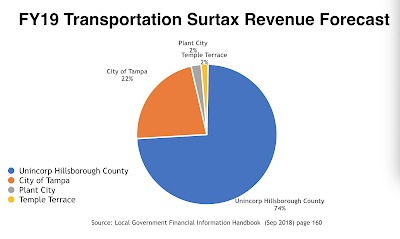 Those costly rail/transit projects are in the city of Tampa but they will be paid for by taxpayers in unincorporated. 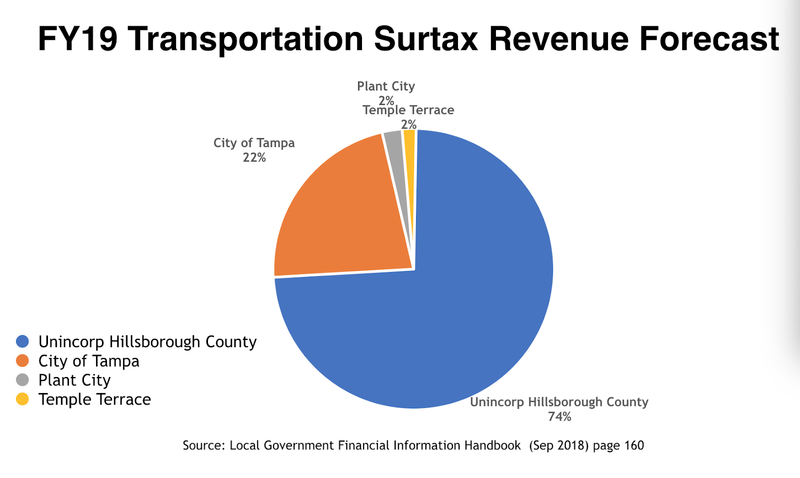 The AFT tax hike is a power grab by the city of Tampa and downtown developers to control transportation spending in Hillsborough County for 30 years to benefit them. 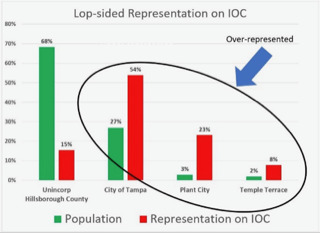 The stacked IOC creates an extreme disproportional and lop-sided representation for the vast majority who reside in unincorporated Hillsborough County. The stacked IOC is a sham. It is not what it was purported to be by AFT. 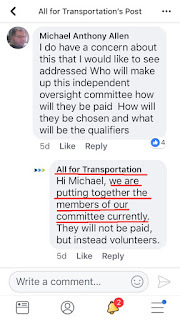 AFT posted on their own Facebook page they were putting together the members of their committee. 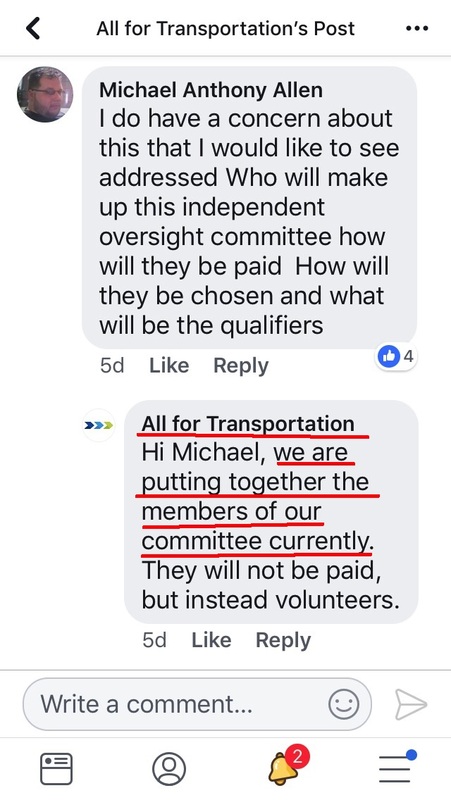 AFT's committee was never intended to be "Independent". The IOC was meant to be stacked. Chalk up another big mess to AFT. I didn't vote for it. Tried to tell people it was a scam. Hope there's a law suit being done to stop this flagrant use of deception done to the residents of Hillsborough County!